Western Technical College’s Cavalier Cupboard is offering a holiday meal package for eligible recipients on Dec. 11-13 during select times of the day. 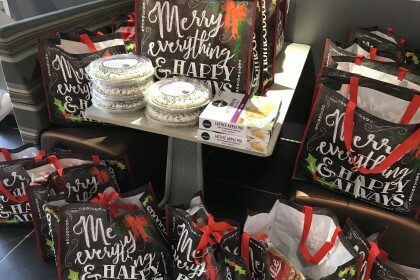 The food pantry, which began in 2014 and has served over 2,000 students and their families, allows any Western student to receive a package consisting of items donated by the Hunger Task Force for a holiday meal. Tuesday, Dec. 11 2:00-4:00 p.m.
Wednesday, Dec. 12 11:00 a.m.-1:00 p.m.
Thursday, Dec. 13 9:30-11:30 a.m. Registration for the package ends Dec. 5. To learn more, visit www.westerntc.edu/food-pantry.